5" and 6" residential and commercial gutters. 2x3", 3x4", 4x5", or 4x6" downspouts. Choose from seamless aluminum, copper, or steel. All are of the highest quality and durability on the market. We offer a complete line of gutter protection products. Some individuals are looking for 100% maintence free, others simply want to keep large debris out. Please visit our gutter protection page to see which product is right for you! 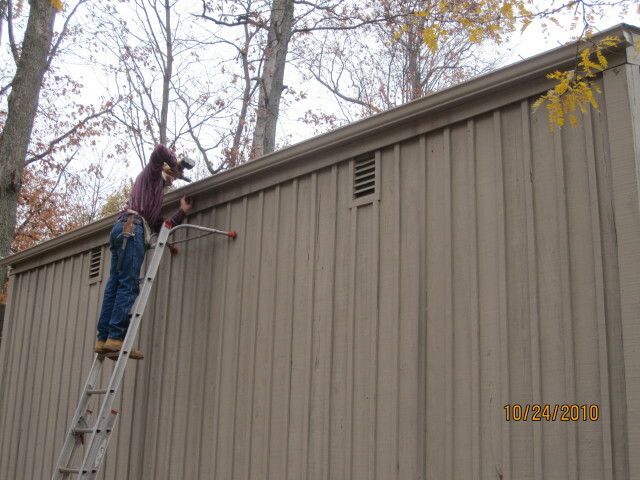 Clogged gutters are not only unsightly, but are a serious danger to your home. Leaves, pine needles, and twigs can plug your gutters causing water to run over them, not through them. When this happens, water is allowed to penetrate into your foundation causing cracks, mold, mildew, and damage to your fascia, soffit, and siding. If your gutters are plugged in the winter, ice dams can form causing water to run back into your soffit and possibly the walls of your home. Either way, this damage is serious and the costs are extensive. So if your gutters are plugged, don't wait!! Give us a call and we'll get them working like new again! We offer FREE estimates! 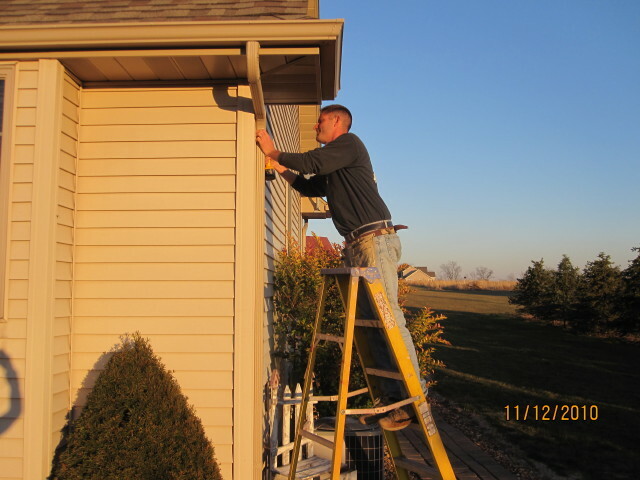 Just give us a call at 419-298-3269, or email us and we'll be happy to provide an estimate for your next gutter project.